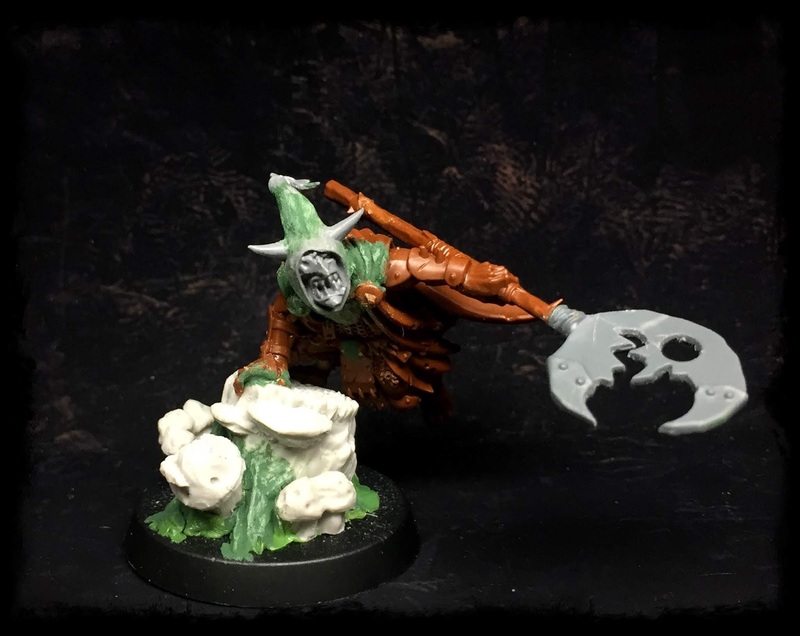 Been busy in RL of late but managed to start working on a little project of mine, to create a custom Night Goblin (Moonclan grots) warband for Warhammer Underworld (or Shadespire as we all called it till recently). I am seriously in love with the game right now. it scratches so many itches of mine, from smart tactical gameplay, to engaging narrative, cool minis, small entry point, etc etc etc. 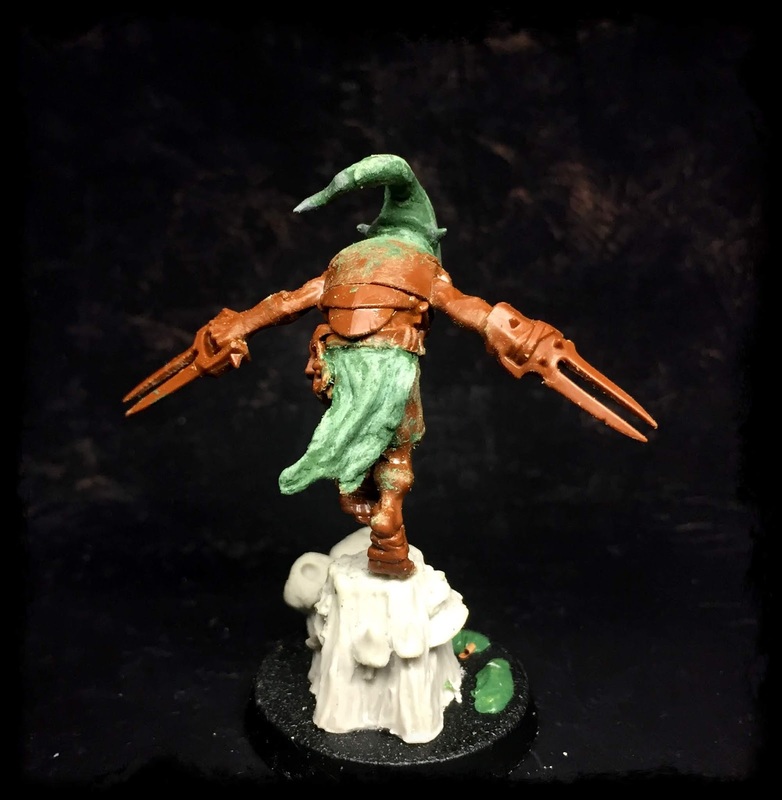 I struggle for time more at home as my family and work commitments have both increased significantly this year, so the quick gameplay is really appealing, as well as being able to paint a small number of models and then move onto something else. 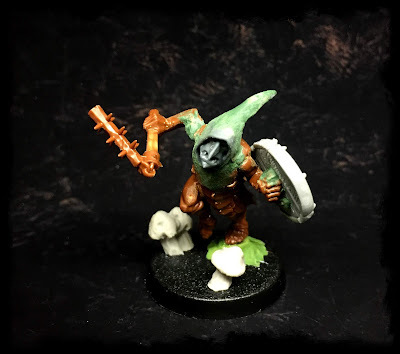 I was never really into Night Goblins back in the old days of fantasy. 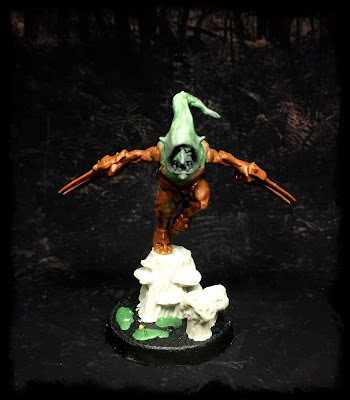 Some of their models appealed but the idea of building and painting a legion of them just to get an army was not appealing in the slightest bit, and the same applies to their current form in AOS too. Well, as I mentioned above, a small conversion project is so achievable in Shadespire, so I slowly started to come up with ideas for a conversion project I could do for the game. 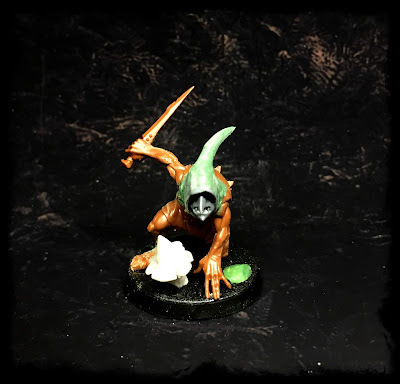 The skaven warband was a great base to start with, so I ordered some heads from a bits seller, and the toadstools from Kromlech, and set to cutting and carving my way through the rats. Now it may look like a simple project but 2 of them at least were a little bit of a challenge to convert. 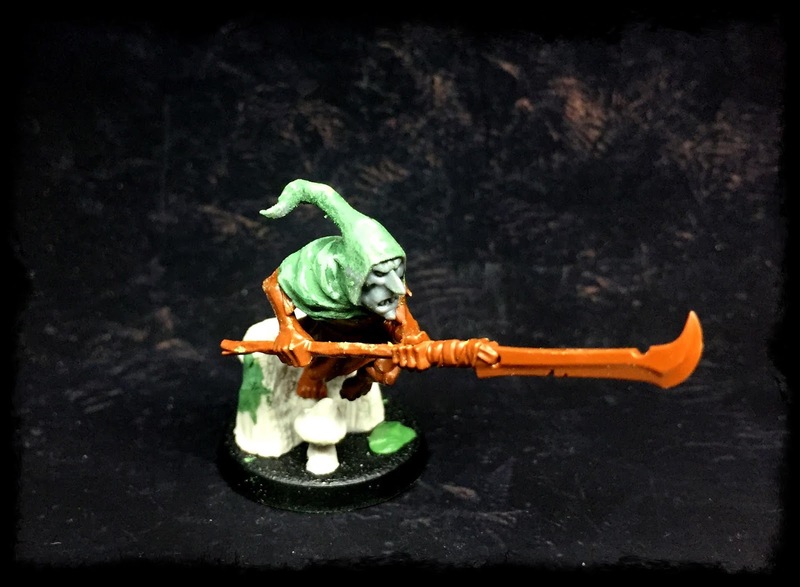 The spear holding gobbo had to have his whole shoulder and head carved off and the leaping gobbo had his whole lower rear re sculpted with a cloak as the skaven fur was removed from his rear. Its been a lot of fun though, and I am really pleased with the results. They all have bags of character and once painted will look great (hopefully). I went for a forest style basing scheme with the stumps and mushrooms more because I thought it was cool rather than it fitting in with the theme of Shadespire. I will try and tie it in a bit with a display base for them, which I am already planning, as well as doing scenery tiles for the game itself. Enough of my ramblings however, here are the pics. Let me know what you think.